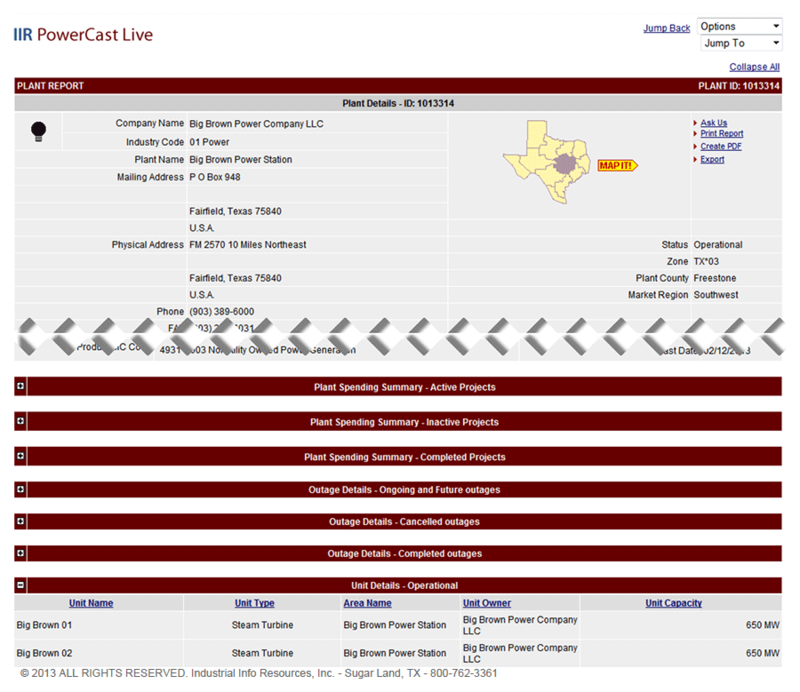 IIR Energy’s PowerCast Live provides Electric Power market participants accurate, detailed and actionable information for the North American generation markets, giving users a clear understanding of supply fundamentals to help monetize assets and positions in the power markets. Users receive real-time, comprehensive and accurate supply information to support decision-making for short and long-term markets. IIR’s team of experienced and dedicated research professionals provides continuously updated, telephone-verified information for the North American and European generation footprints. Unique, real-time primary research on plant and unit statuses gives users the edge on supply analytics. Web-based analytical software allows users to quantify the supply changes due to outages, new and retiring capacity, and the day-to-day activity of the North American and European markets. 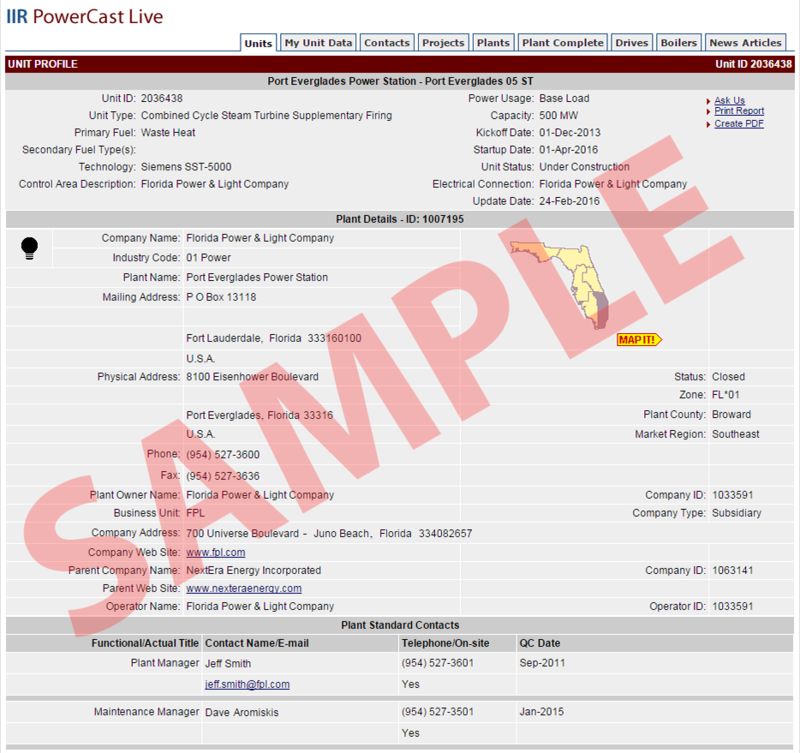 PowerCast Live provides dynamic data for Installed Base, New Build and Outages. 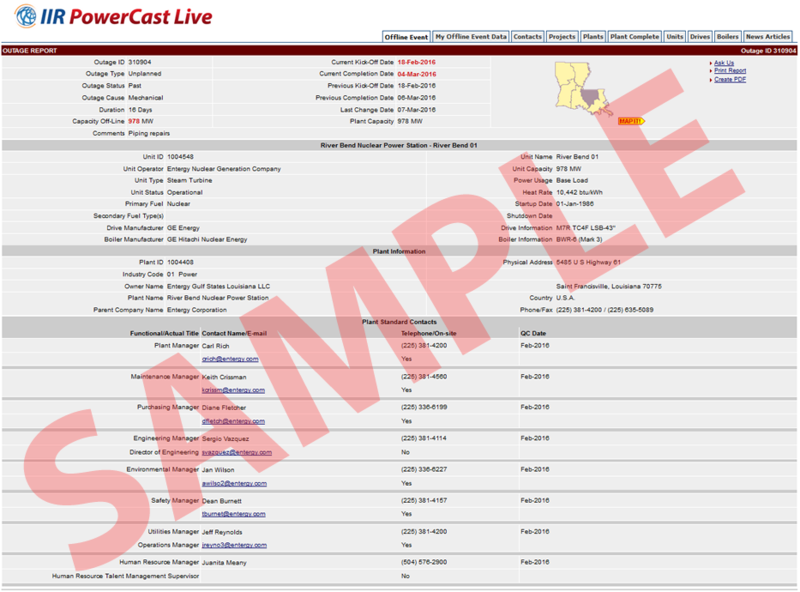 PowerCast Live provides a complete database of the entire North American generation portfolio. 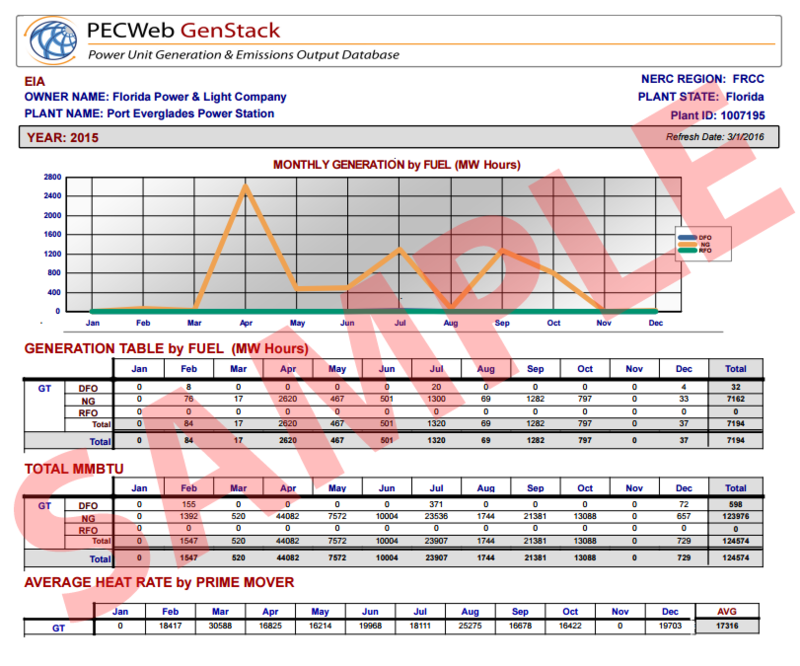 Users have easy access to details and attributes for every North American power plant. Information is continuously updated, providing users a dynamic database of North American power generation to help support analytics and trading fundamentals such as generation curves, reserve margins, fuel stacks and costs to generate. Provides past, current and future outage details, with continuous updates and real-time hotline service, on all planned and unplanned outages. With more than 3,500 power stations and 17,000 electric generating units in the database, users have a fast, reliable, accurate and transparent way to see generation availability status at the ground level. Aggregating the data gives power traders and analysts true year-over-year benchmarking, forecasting and modeling data to support accurate supply assessments, trading and hedging strategies. Provides continuous tracking and details of all new generating unit construction and the status of each and all projects (down to the unit level) that are under development in North America. Obtain alerts and reports, with commissioning dates from tomorrow out to 2025. This product gives continuous updates on the lifespan of these projects and provides notifications of canceled, on-hold and commissioned startup units to the day. IIR’s expert staff is easily accessible to answer any questions or obtain further details. Capacity size, MWs, counts, etc. Integrates actual generation and emissions-output data from various governmental sources with IIR's Power Generation Database to provide clear details on each fossil unit. Details of emissions by CO2, SOx, NOx, mercury, PM, etc. Need up-to-date details on breaking energy news? Ever wonder if that nuclear unit will be running tomorrow? Require firsthand knowledge close to the source? Hit us up on the IIR Energy hotline for accurate, fast, live interaction with our frontline research staff to uncover the breaking news and current details on supply disruption events, covering all unplanned & forced outages from weather events, mechanical failure, catastrophes and all other circumstances.